David Brody is an artist who makes paintings, drawings, and digital animation, and writes about art. His most recent painting shows have been at Studio 10 (Brooklyn), with Elliott Green; Pierogi (Brooklyn); and Sometimes Works of Art (NYC). His animation 8 Ecstasies was the centerpiece of an installation in 2014 at The Boiler, Pierogi’s large project space. His animations have been included in programs at The National Gallery of Art in Washington, MoMA, The Reina Sofia Museum, and the Centre Pomidou. 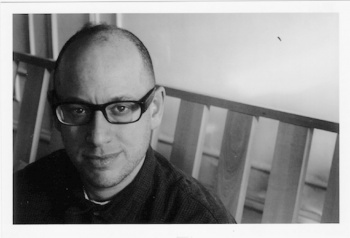 Brody’s writing appears regularly in Artcritical.com, and he has written for Bomb Magazine, Cabinet, and The Brooklyn Rail. Catalogues include essays for Brenda Goodman, Jane Fine, Michele Segre, Gregory Barsamian, Daniel Wiener, Marsha Cottrell, and an interview with Phillip Taaffe for the Irish Museum of Modern Art.